As the President and CEO of MTM, Alaina is a leader in the healthcare and transit industries. She is focused on continually taking our services to the next level by offering innovative solutions that remove community barriers nationwide. A true visionary, she directs and prioritizes company actions and strategies to ensure competitive advantage, profitable operations, and high customer satisfaction. Since 2005, she has overseen MTM's growth from $30 million in annual revenue to nearly $600 million. Alaina holds a master’s degree in business administration from Washington University in St. Louis’ Olin School of Business. She is actively involved in the St. Louis community and is a member of the Washington University Institute of Public Health National Council, the YPO (Young Presidents Council), and the St. Louis Regional Business Council. 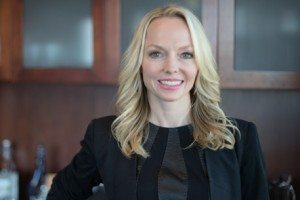 She has been the recipient of many honors, including being named one of 2012’s Most Influential Businesswomen by the St. Louis Business Journal; she was also named to the publication’s 30 Under 30 class in 2004 and 40 Under 40 class in 2011. In 2014, she was named to Mass Transit Magazine’s 40 Under 40 List and received the Entrepreneur of the Year award in the Midwest Region’s Healthcare Services category by Ernst & Young. In 2018, she was honored to be named to the St. Louis Business Journal’s list of the area’s Technology Executives of the Year. As Executive Vice President and General Counsel, Don ensures MTM adheres to federal, state, and local laws and regulatory requirements in all of our operating areas. He advises MTM’s Board of Directors and Executive team on legal matters; develops and reviews contracts, including those with clients, vendors, and transportation providers; and represents MTM in all legal situations. 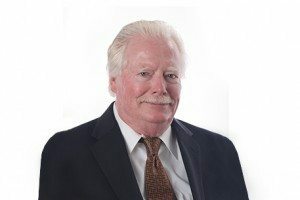 Don has more than 30 years of legal experience, 23 years of which he served as a principal engaged in the private practice of law. Michele has more than 20 years of experience in sales and marketing leadership roles. As the Chief Marketing Officer, she oversees MTM's expert Marketing Department and supports our efforts in new business acquisition. Michele is also responsible for MTM’s account management and client relations functions, and supports clients in developing program manuals, member educational materials, community outreach materials, and newsletters for all stakeholder groups. She holds a master’s degree in business administration. 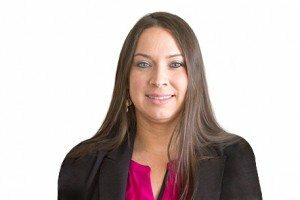 With more than ten years of experience in corporate compliance, employee relations, strategic planning, and new business implementation, Kerri is MTM's human resources expert. As the Chief Human Resource Officer, she focuses on staff engagement and organizational design to streamline our overall operations. Kerri oversees MTM’s Human Resources, Training, and Employee Engagement teams to ensure ongoing corporate enhancement, as well as improved employee hiring practices, training programs, and satisfaction. Her main goal is to ensure we hire and train the most qualified staff, resulting in overall operational quality and client satisfaction. She holds a master’s degree in organizational leadership. Jill oversees all aspects of MTM’s Accounting and Finance teams, including accounts payable, accounting operations, payroll, and reporting. 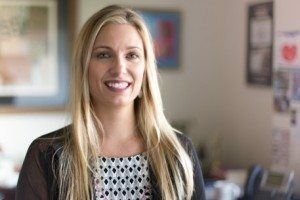 Her more than 12 years of experience in financial planning, auditing, and analysis help her continually ensure that MTM is a fiscally responsible company capable of meeting the needs of clients nationwide. Jill holds a master’s degree in accounting from the University of Missouri. 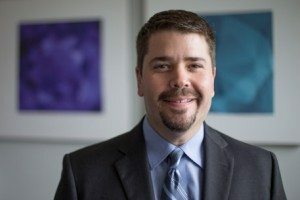 Phil is an expert government relations specialist with more than 15 years of experience in legislative affairs roles with organizations such as Faegre Baker Daniels, Blue Cross Blue Shield of Minnesota, and the Minnesota Senate. At MTM, his responsibilities include managing our government relations efforts around the country to ensure current and prospective clients are well-educated and aware of the issues they face for transportation and healthcare programs. Phil plays an important role in developing key relationships and strategies for new business prospects, bringing continued job growth to MTM’s operating areas, and identifying solutions for addressing healthcare access. He holds a bachelor of arts degree in government and political science, as well as a master's degree in public administration. As MTM continues to be one of the most innovative transit and healthcare management companies in the industry, Heather is responsible for the implementation, development, and oversight of our technology and software solutions. MTM relies on Heather to lead our Information Technology team in identifying technology trends, creating strategic plans for ongoing enhancements and innovation, and utilizing technology to optimize operational efficiency. 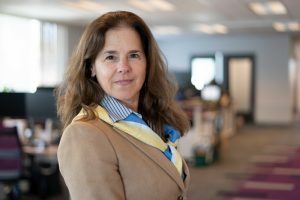 Heather has ten years of experience in transit technology, including seven years in technology leadership roles with MV Transportation and their affiliate Canadian operation, MVT Canadian Bus. She holds a bachelor of science degree in computer science from Texas A&M University. Pam drives the implementation of new programs, new projects, and changes within MTM’s overall operations. She also oversees our Quality and Compliance team to ensure we are contractually compliant and provide an unsurpassed level of service for our clients and members. Additionally, Pam is responsible for our credentialing team, ensuring service provider compliance with our stringent standards. Prior to joining MTM, she was the Senior Vice President of Compliance Audit and Exam Management for CitiMortgage, Inc., where she focused on risk management and mitigation. Brian has been part of the transportation industry for over 26 years. He possesses significant leadership experience overseeing ADA assessment and travel training programs across the nation. As Transit Chief Operation Officer, he oversees all location operations to ensure their most appropriate and cost-effective delivery of transportation services. He works closely with clients to understand the local climate and issues pertaining to each of our transit programs. In his hands-on approach to directing, each client receives personal, program-specific support. He received his education from Cleveland State University. 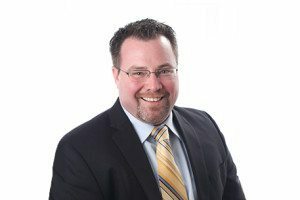 With more than 17 years of experience in healthcare account management and business development leadership roles, Eric provides executive-level leadership to MTM’s Business Development and Client Services teams. 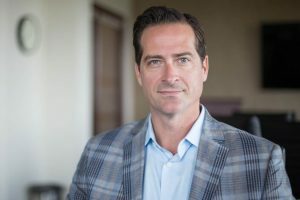 His primary focus includes defining the strategic sales direction of MTM’s transit and healthcare services, retaining key accounts, and growing with new clients. In previous positions, Eric led large teams of sales agents who represented more than $650 million in annual sales. He received his education from Maryville University. Since joining MTM in 2014, Dana has lead MTM’s various Finance teams, including our treasury, financial planning and analysis, contract analysis, and internal audit teams. 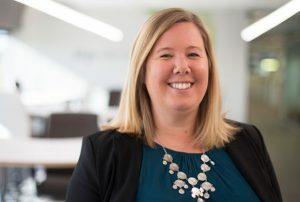 With more than 13 years of finance and accounting experience, she directs MTM’s financial strategy, planning, and forecasting, and manages the company’s annual budget. Dana also supervises MTM’s billing/encounter reconciliation processes, develops control audits, and is responsible for MTM’s tax policies and filings. She is a Missouri Certified Public Accountant (CPA) and a member of the American Institute of CPAs. Dana earned her master’s degree in accounting from the University of Missouri. With more than 25 years of experience in the transportation and logistics industry, Chuck is a proven leader with an in-depth understanding of NEMT programs, government and private contract compliance, implementation and project management, strategic planning, and budget adherence. 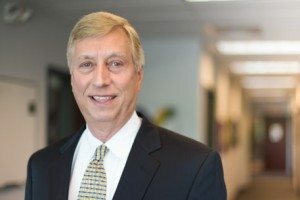 In particular, Chuck recently spent 11 years with NEMT broker LogistiCare, 10 of which he served as the organization’s Senior Vice President of Operations. While in this position, he oversaw NEMT operations with a total revenue of $300 million in six states. Chuck earned his Bachelor of Science degree in business administration and marketing from the University of Tennessee. As MTM’s Regional Vice President of Operations in the Mid-Atlantic region, Kim oversees all of our contracts in the District of Columbia and surrounding area. With more than 20 years of experience in the transportation industry, she is a previous recipient of the APTA Gold Bus Safety Award. Kim works hand-in-hand with MTM’s Program Directors and clients to ensure contractual adherence and high quality service. She holds a bachelor degree in business management. Nathan has over 14 years’ of experience with MTM, working his way up from Customer Service Center Manager to Regional Vice President. He served for several years as Program Director for MTM’s statewide Wisconsin NEMT program, managing implementation and operation of the program. In 2016, Nathan was promoted to Regional Vice President. In this role he oversees several of our statewide NEMT programs, including Mississippi, Wisconsin, and Nevada, as well as various MTM contracts in Iowa, Minnesota, and Oregon. Nathan provides oversight of MTM’s operations, assisting Program Managers and Directors as needed during implementation and beyond to ensure contract compliance, client satisfaction, and overall success. Lynn co-founded MTM with his wife Peg in 1995. Lynn holds a master's degree in business administration from George Washington University, and brings to MTM's Board of Directors more than 30 years of management experience in the medical field, social services, and with managed care organizations. Lynn is also a veteran, having served as a former Captain in the Navy. As the chairman of MTM’s Board of Directors, Peg provides strategic leadership and final authority on all major business and financial decisions. Prior to moving into her oversight role as the Chairman, Peg co-founded MTM and provided key leadership and executive functions as the former President and CEO. 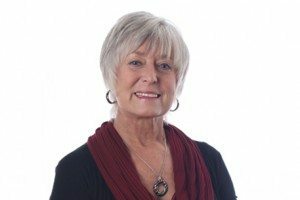 Peg has more than 30 years of experience working in executive roles in the social services, health, and behavioral health fields. 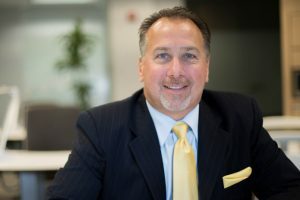 Mike Castellano is an accomplished senior executive, accountant, and board member with more than a decade of success and experience in the rapidly changing healthcare industry. 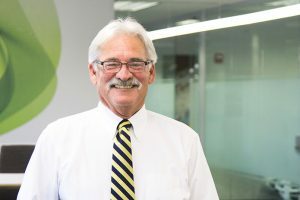 Currently the CEO of Esse Health, he oversees one of St. Louis’ largest independent primary care physician groups. 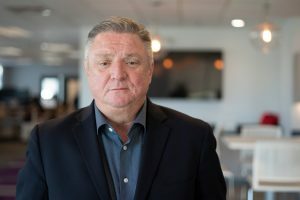 Mike previously served in executive leadership roles with companies like Evans & Dixon LLC; UniGroup, Inc.; Nooney Company; and Emerson Electric. He earned his MBA from St. Louis University, is a CPA, and holds Six Sigma Black Belt Certification in Lean Healthcare. 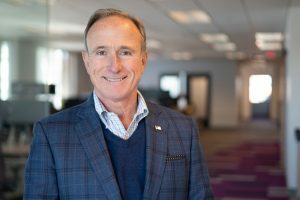 Jack Griffin has more than 25 years of experience in leadership positions, and currently serves as the Chairman of the Board and CEO of Atlas World Group, Inc., a national transportation and logistics company. Prior to joining joining Atlas, he worked in various senior management roles within the transportation industry. Jack has also previously served as chairman of the Evansville Tri-State Heart Walk, and currently sits on the American Heart Association’s Board of Directors. He earned his graduate degree from Columbia University. Charlotte Martin is a seasoned senior executive with a proven track record of achieving outstanding business results. As former President and COO of Gateway EDI, a $100 million healthcare technology company, she led the organization to explosive growth, earning fastest growing private company designation in St. Louis three times. Charlotte has advised numerous private companies, and has held board positions at Abel Oil, Contegix, St. Louis Public Radio, and the Lindbergh Schools Foundation. Charlotte earned her master’s degree from the University of Missouri-St. Louis. 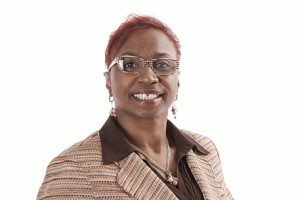 Beverly Lucas Propst has more than two decades of experience as a board member, senior executive, and attorney. 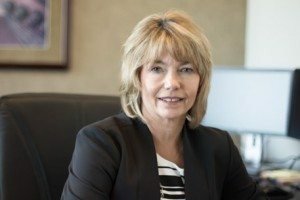 Currently the Senior Vice President of Human Resources for Graybar Electric, she leads the human resources function for a $6 billion Fortune 500 company. Prior to taking on an executive role in 2008, she served as counsel in Graybar’s legal department and at two St. Louis area law firms. 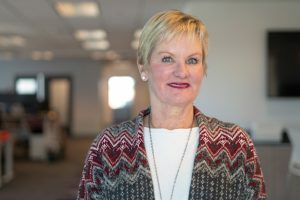 Beverly was named one of St. Louis’ most influential business women in 2015, and currently sits on the Board of Directors for Forest Park Forever, the Magic House, and Midwest Health Initiative. She earned her JD from the University of Illinois College of Law. 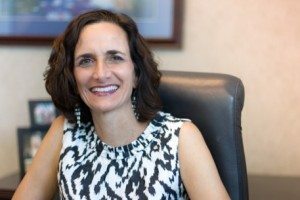 Currently the Chairman and Principal of Collaborative Strategies, Inc., a St. Louis-based strategic planning firm, Gina Hoagland has a diverse background in strategic planning, finance, board development, and talent management. 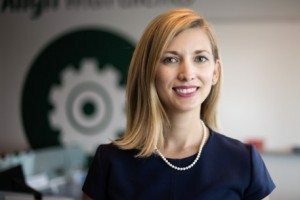 She has been a lead facilitator, board member, and advisor for dozens of boards, including for companies like Graybar Electric, Essex Industries, Triad Bank, Major Eagle/Eagle Brands, and more. 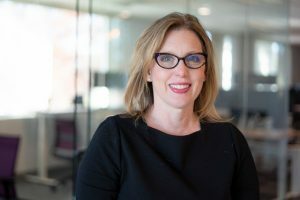 Gina earned her undergraduate degree in economics and government from Georgetown University, and her MBA from the Darden School at the University of Virginia.